Henlow Greyhound Stadium is often described as a big, safe, galloping track with a good run to the finishing line. 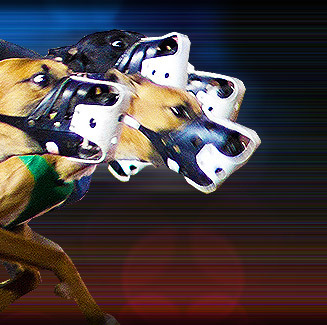 Whether you are a newcomer or an old hand at greyhound racing, nothing can compare to the thrill of a night out with friends, placing a bet on the course and watching your chosen greyhound win! Henlow Greyhound Stadium has undergone renovation to the stadium making it more exciting and enjoyable. Henlow Greyhound Stadium is located at Bedford Road, Lower Stondon, Bedfordshire, England. Henlow Greyhound Stadium opened as a straights racing track in 1923. Circuit racing began at Henlow in 1927. In 1976, Henlow Greyhound Stadium adopted National Greyhound Racing Club (NGRC) racing rules. NGRC is the greyhound governing body of England. A new set of owners took over Henlow Greyhound Stadium in October 2004. The new Managing Director is Mr. Kevin Boothby from Boston in Lincolnshire, England. Henlow Greyhound Stadium has undergone renovation. A 400-seat, glass fronted restaurant has recently been constructed, while the café and bar facilities were improved. The kennels were also extended to allow more races.